Sheila Laughton an IHOM trained facilitator, will lead this Women’s only healing workshop, developed by the Institute for the Healing Of Memories. It provides a safe place to explore personal histories and gain insight and empathy for themselves and others in response to the emotional, psychological and spiritual wounds inflicted by war, human rights abuses and trauma, especially as how this relates to women veterans. The retreat begins with an opportunity for participants to meet with each other and continues with storytelling, discussions and sharing of experiences in small facilitated groups. There will be an emphasis on safety, respect, and confidentiality. Due to the generosity of underwriters, this program is FREE to all Women Veterans. Note that this retreat does not include spouses, children or friends of veterans. The Concept: The workshop developed by Father Michael Lapsley and the Institute for the Healing of Memories (IHOM) is a response to the emotional, psychological and spiritual wounds inflicted by war, human rights abuses and other traumatic circumstances. It provides a safe place for participants to explore personal histories and gain insight and empathy for themselves and others. Workshop Goals: Participation provides a safe experiential and interactive way to overcome anger, loss, grief, and guilt, and can be one step on the journey to healing and wholeness. It contributes not only to personal healing, but also to the healing of interpersonal relationships. The First Night – The First Step: You can check into your room at 3pm or after. We begin with a 6pm welcome dinner. The Opening Session introduces the workshop concepts and provides an opportunity for participants to meet with each other. The Next Day: Storytelling & Discussions Continues. Individuals have time to share their experiences in small facilitated groups with an emphasis on safety, respect and confidentiality. There will be time for quiet personal reflection and integration. Tonight is for relaxing together. The Final Day: The Journey Continues with storytelling and group discussion. The group now shares experiences, common themes and lessons learned. We have taken the first step on this journey of healing…and it is now time to look to the future! Workshop ends at 2pm. 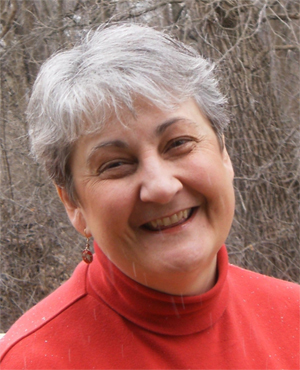 Sheila Laughton is a program manager and spiritual director for the veterans Welcome Home Program at the Loyola Spirituality Center in St Paul, MN. A retired officer, married to a veteran, with sons in the Army and Air Force, she has experienced military life from multiple perspectives. She is a director, teacher and group facilitator with 10+ years of experience in these areas plus 25 years in management. 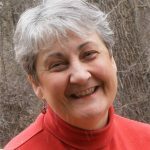 Sheila has been a facilitator/trainer with Healing of Memories-MN for 7 years, and is also involved with the Women Veterans Initiative. She holds a MA in Theology, Certificate of Spiritual Direction, St. Catherine University , and a MS in Guidance and Counselling, Creighton University. Working with Lead Facilitator Sheila Laughton will be: Sandi Howlett, Kathy Garast, Lori Rubenstein, Annemarie Patterson, all highly skilled facilitators through the Institute for Healing of Memories. Joining them is co-facilitator trainee, Miriam Rosa-Cummo. The workshop begins with dinner on 5/31 at 6pm, and ends at 2:00pm on 6/2. There is NO cost. Generous underwriters have made this healing workshop possible for all veterans. Please note that this is for veterans only, not their spouses, children, or friends. All information is kept securely confidential. This class is filling up quickly. Please register NOW!